It is very important to have your soil pH tested and if necessary, develop a multi-year plan for amending and conditioning your food plot soil. 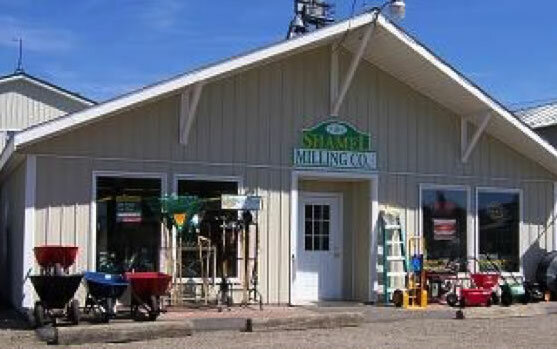 At Shamel Milling, we provide this service for free! 1. You will need a different sample for each food plot area. A separate test should be performed when soil changes color or consistency. 2. Each sample should be a made up of three or more samplings from the same food lot area. 3. Dig just below the sod layer and take a clump of soil that does not contain sod, rock or other debris. Repeat several times in each location with your sample area; mix the samples together to get a good representation of the soil in the food plot area. 4. Bring us one soil sample for each food plot area. If you have an idea of what you might want to plant in that plot or what you planted previously, please write that down and put that information with the soil sample. In order to grow strong and healthy… plants need food! The main method of providing food to your plants is achieved by adding fertilizer to the soil. Soil pH regulates how much of the food the plants can eat by locking up the food in a strong chemical bond when the pH is low (below 6) or when the pH is high (above 8). Soil pH is extremely important since the pH of the soil helps determine if the plants can metabolize the fertilizer in the soil and therefore determines if the plants can grow. Many people continue to fertilize a poorly performing food plot by simply adding more fertilizer! Actually what is needed is to release the food by solving the pH problem. Over time, low pH problems can be resolved by adding 2,000 lbs of lime per acre, which will raise the pH one point. Unfortunately lime does not immediately fix low pH problems. It often takes up to 6 months to achieve its full effect. High pH problems are not very common but can be corrected by adding Sulfates to the soil. It is important to read the planting instructions for each seed mixture to find the fertilizer recommendations and the recommended pH levels for each seed mix. 1. Do I want to plant each year or every 3 years? 2. What equipment do I have to disc the soil? 3. Am I more interested in attraction or nutrition? 4. When can I plant a food plot and is that a good time to plant? 5. Can I maintain a perennial food plot or should I replant every year? lightly packing your soil before planting using a culti-packer or by running over the plot with an ATV. Always pack the seed bed after discing and before planting. Poorly disced seed beds with large clumps of dirt should still be packed and smoothed before planting. This will reduce the natural tendency of the small seeds to move deeper into the soil. Soil moisture is vital to the plants being able to establish themselves. The soil should be moist when planting, with a reasonable expectation of future rainfall. If adequate moisture is not available for an extended period after planting, the plot may fail to establish properly. This is an excellent method of Spring planting. When frost seeding, follow normal seed coverage recommendations and broadcast the seed as the frost begins to thaw. The deeper you disc the soil before rainfall, the more moisture the ground will store for the growing season, and the more drought tolerant the food plot will be. Discing the soil before planting will also cause dormant weed seed to sprout, which will allow you to disc the weeds under or spray them with weed killer before planting. Either way, you will reduce weed competition for the valuable water and nutrients that your forage plants need. 1. Plant after Spring green-up has started…don’t let your food plot be the only green thing for miles! By planting while native plants are at the height of sweetness during the natural Spring green-up season, you will reduce the feeding pressure while the food plot is young. 2. Plant multiple food plots at the same time or plant large areas. By doing this you will decrease the feeding pressure on all of the food plots and increase the success of your Summer plots. 3. Spraying the edges of the food plot with deer repellents that make plants taste bad. Apply to the edges of the food plot and the native forage that surrounds the plot. 4. Spring & Summer food plots do not have to be placed deep in the woods where you intend to hunt during the Fall, create food plots in areas that may already have low fencing or human activity that will reduce early deer browsing until the forage is tall and the deer are more camouflaged. If you have hunted game birds for any length of time you know that once a field of grains are cut or harvested the birds flock in to consume the left over feast. Once the Summer is over and your attention turns to attracting game birds you will find most of them will have already spotted your plot. To increase the usage and the available grain on the ground, cut lanes through the plot to produce an easily hunted field. Consider cutting new lanes or portions of the plot over several weeks so that fresh grain will be available all season and none will be wasted. Weed and grass problems actually lie deep within the soil. Over many years, billions of weed and grass seeds have been deposited and can sit dormant until the day the soil is tilled and they move close to the surface. As the seed moves to the surface, the combination of oxygen, temperature and moisture causes the weed and grass seeds to germinate. It is only a matter of time until the grasses and weeds are aggressively competing with the crops. Weeds and grasses can cause many problems in a field. First, they compete with desired forages in the food plot taking moisture and nutrients from the soil, which are the life-blood of food plot forages. When moisture and nutrients are stolen by weeds and grasses, huge holes in the food plot can develop. If left unchecked, the weeds and grasses can eventually take over the entire plot. This will require replanting earlier than anticipated, which can be quite expensive. There is not only the cost of the seed but also the lime, fertilizer, fuel and time involved in replanting. No doubt, weeds and grasses can be costly, frustrating and depressing. Mowing can often rectify the problem, but other times that is not enough. Precise herbicide application is now possible for managers of food plots with the widespread availability of ATV-mounted boom sprayers. Boom sprayers have a series of nozzle tips mounted horizontally along a rigid boom. This allows a swath from 6 to 12 ft. wide to be treated in one pass. ATV sprayers have a chemical resistant plastic tank large enough to hold 15 to 25 gallons of spray solution and an electronic pump that generates pressure, propelling the spray through a series of nozzle tips. These features allow the manager of food plots to uniformly treat a large area with herbicides, using the ATV as the source of horsepower. There are many different modifications that can be made during set-up depending on the sprayer’s intended use. For most herbicide applications in food plots, the set-up provided by the sprayer manufacturer is sufficient. Spray nozzle tips are precisely machined devices that help regulate spray flow and disperse the spray into uniform sized droplets in useful patterns (fan-shaped, hollow cone, solid cone, stream, etc.). Nozzle tips vary in materials from which they are made; nylon, brass, stainless steel, and ceramic. Nylon is the most cost-effective nozzle tip material. Nozzle tips are an expendable item and will need to be periodically replaced due to wear. Consider using either flood-jet or flat-fan nozzle tips with an ATV boom sprayer. Flood-jet tips produce a fairly wide spray pattern of large, coarse droplets. Flood-jet tips are best for soil applied herbicides since they are not overly prone to being clogged due to their large orifice. The large droplet size also minimizes spray drift. However, flood-jet tips are not recommended for foliar-applied herbicides since they produce a coarse pattern with few droplets and may not provide adequate coverage on emerged weeds. Flood-jet tips and their large orifice consume large volumes of water, requiring frequent refilling – a critical factor for large food plots or sites where clean spray water is not available. The other choice for a nozzle tip is one that produces a flat-fan. These tips offer the advantage of producing fine spray droplets of a uniform size, usually with lower spray volumes than flood-jet tips. A finer pattern gives better spray coverage of weeds foliage, but is more prone to being clogged. The lower spray volume produced by a flat-fan tip allows a tank of herbicide mixture to be sprayed to a larger area than with flood-jet tips. Regardless of the nozzle tips chosen, it is highly recommended to use in-line strainers for each nozzle tip. These will filter particulate matter and prevent clogging. The strainer itself can become clogged, but it is far easier to clean a strainer than a spray tip. The fragile nozzle tip orifice can be easily marred by prying out debris with a pocketknife or a piece of wire. quality brochures on sprayer use, downloadable technical sheets, and customer service. They can offer qualified advice on spray-tip selection and provide a list of local dealers. Another desirable modification is a functional pressure gauge. The electronic pump on an ATV sprayer generates and maintains steady pressure. Pump generated pressure is the means by which the herbicide solution is propelled through the nozzle tips. Some sprayers have pumps with adjustable pressure and some have fixed pressure. A functional gauge makes it possible to monitor pressure during operation. Widely fluctuating spray pressure is often a symptom of a sprayer malfunction that affects precision and accuracy. Pressure gauges are notoriously fragile and frequently become inoperable. Fortunately, replacements are readily available at industrial gas suppliers and agricultural equipment dealerships. The number of spray tips, spacing on the boom, and angle of alignment are determined by the nozzle type and height of the boom. Farmers have sprayers with wide adjustments in boom height and nozzle spacing, giving them many options. Some ATV sprayers have a fixed boom height, while others have a limited amount of adjustment. It is important to mount and secure the sprayer on the ATV that you actually intend to use for spraying, since boom height on ATV mounted sprayers may differ according to suspension, tire size, and overall height. Refer to the published data from spray tip manufacturers for correct boom height and nozzle spacing. a tachometer, choose a gear and throttle setting that can be replicated and maintained, calculate the ground speed, then calibrate and operate the sprayer at those settings. An often-overlooked factor is the need to calculate the speed of the ATV in soil conditions similar to those where the sprayer will be used. Tires slip in loose soil. With the same gear and throttle setting, ground speed on hard pavement will differ from ground speed on loose soil and this difference could cause a large calibration error, altering herbicide rate. The sprayer must be tightly secured to the rear cargo rack on the ATV. A filled ATV sprayer can weigh as much as 200 pounds, and that mass can easily bounce free during use. The additional weight of a fully loaded sprayer may alter the handling and stability of the ATV. GPA – Sprayer output in gallons/A. GPM – Average flow rate per nozzle in the spray boom in gallons/min. 5940 – Mathematical constant that is the result of many unit conversion factors. Speed – Calculated ground speed of the ATV in miles/hour. Step 1. A device to accurately measure water in fluid ounces (or milliliters) is needed. For safety reasons, dedicate this measuring device exclusively for sprayer use. Several containers are needed to collect spray output from each nozzle tip. A watch with a stopwatch feature is needed to accurately measure time in seconds. Finally, a handheld calculator is needed for the mathematical computations. Step 3. Substitute the appropriate terms into the calibration equation. It is essential that each term in the equation be in the correct units. GPM must be in gallons/minute. Speed must be in miles/hour. Nozzle spacing must be inches. Using the wrong units will result in gross errors in calibration. Step 4. Repeating the calibration procedure and all computations. The output from all nozzle tips is now similar, less than 10% variation among all seven tips. This is acceptable. The next step is to calculate a simple average output per nozzle tip on the sprayer boom. (26 + 25 + 25 + 27 + 26 + 27 + 25)/7 = 25.86 fl. oz./min. Convert the output from fl. oz./min. to gal./min. (25.86 fl. oz./min. )/(128 fl. oz./gal.) = 0.2020 gal./min. Refer back to the original calibration equation and begin substituting. The sprayer in this example is now calibrated. It will apply 21 gallons of mixed spray uniformly over one acre. 27 fl.oz. 25 fl.oz. 26 fl.oz. 26 fl.oz. 10 fl.oz. 25 fl.oz. 26 fl.oz. 26 fl.oz. 25 fl.oz. 25 fl.oz. 27 fl.oz. 26 fl.oz. 27 fl.oz. 25 fl.oz. Dilution and mixing. Carefully read the herbicide label, which in this context refers to the detailed instructions provided with the herbicide. The label also provides information on protective clothing when applying the herbicide. Protective clothing may be chemical resistant coveralls, boots, gloves, and safety glasses. Pay close attention to all safety statements, for your safety as well as the safety of others. The first step is to estimate or measure the size of the area treated, which will determine the volume of spray mixture needed to treat the area. Unless you have a knack for estimating area, simply measure or step-off the rough dimensions and calculate the estimated area in ft2, which can then be easily converted to acres (1 acre = 43,560 ft2). As a reference, the area of a football field is 1.3 A. Once the size of the treated area is determined, use the sprayer calibration value (gal./A) calculated earlier. Use the calibration value and the area to be treated to determine the amount of spray mixture needed for the task. Depending on the calibration, area to be treated, and size of the spray tank, the task may require a partial tank or multiple filling to treat the site. Add the calculated amount of clean water to the spray tank. A food plot measures out to be approximately 0.8 A. You calibrated the ATV sprayer to spray 21 gal./A. and the tank has a capacity of 20 gal. The volume of spray water needed to treat the food plot is: (21 gal./A * 0.8 A =16.8 gal.). Add 16.8 gal. of clean water to the spray tank. Vantage is needed to control crabgrass in a planting of Whitetail Imperial perennial clover. The label lists the Vantage rate at 1.5 pt./A. The food plot is 0.8 A. The amount of Vantage to add to the 16.8 gal of water in the spray tank is:(1.5 pt./A * 0.8 A = 1.2 pt.). Once the herbicides and adjuvants are added to the spray tank, the contents of the tank need to be mixed. Some sprayers have bypass agitation, which is a means by which some of the herbicide mixture is circulated by the pump from the bottom of the tank to the top. This is adequate to keep herbicides mixed during operation, but not enough to outright mix spray tank components. Simply stir the contents of the spray tank with a piece of lumber or a stout stick. Forages for wildlife are either broadcast seeded or drilled like small grains, leaving few visual reference points for spraying. Managers of food plots have three options to keep track of where they have sprayed. One technique is to measure and mark the width of the spray swath across the field using surveyor flags. Simply drive and spray between flags across the field. Another technique is to use a dye specially formulated for use in herbicide sprays. In this example, the blue spray mixture is deposited on plant foliage, marking the area already treated. The last and least desirable technique is to do nothing and guess at the previous spray swath using the tire tracks from the previous pass. Make every effort to ensure that you avoid grossly over-estimating the amount of mixed herbicide needed to complete the task. Given a choice, it is better to under-estimate than over-estimate the amount of mixed herbicide. This prevents the problem of disposal of extra mixed herbicide. Mixed herbicide needs to be sprayed in an appropriate manner. Simply dumping the leftover contents of a spray tank is wasteful and environmentally irresponsible. Sprayer clean-up is an important maintenance step for the longevity of the ATV sprayer, since some pesticides are corrosive or foul the sprayer with herbicidal sludge. In addition, thoroughly cleaning the spray tank will help prevent contamination that may injure sensitive crops the next time the sprayer is used. This is particularly important with herbicides like Roundup and 2,4-DB. The standard protocol is to triple rinse the tank with clean water, thoroughly rinse the outside of the sprayer, and use a final rinse with an ammonia solution. The sprayer should be operated for a few minutes to allow the ammonia solution to circulate and cleanse the lines and spray tips. It is a good idea to periodically remove and clean all spray tips and screens. If there is any doubt about the sprayer clean-up procedure, refer to the herbicide label for instructions. Herbicide storage is an often-overlooked consideration. Avoid the temptation to stockpile herbicides. Buy the absolute minimum amount to do the job. The reason is obvious – safety to people and the environment. Eliminate the storage issue by not having any to store when you are finished with the task. Refer to the herbicide label for storage information. Always store herbicides in the original container. 1 mile = 5,280 ft.
1 mile = 1,760 yds. 1 gal. = 4 qts. 1 gal. = 8 pts. 1 gal. = 128 fl. oz. 1 Tbs. = 2 fl. oz. 1 Tbs. = 3 tsp. Test A – 17 sec. Test B – 11 sec. Test C – 8 sec. Test A – 34 sec. Test B – 23 sec. Test C – 17 sec. (1).Measure speed under soil conditions similar to those where the sprayer will be used.